As part of the promotion of the Kurrajong Re-enactment March, our committee entered a float in the Inverell Festival parade today. 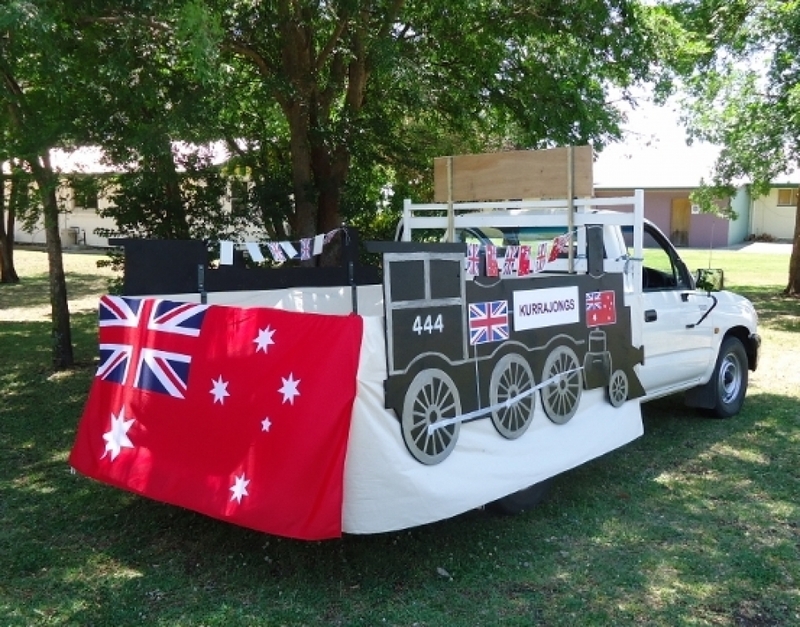 The float consisted of a replica of the 1916 train engine which took so many of the district's young men on the first part of their journey from Inverell to the War. The float was a real community effort - the replica engine was made by the Inverell Men's Shed, the detail painted by members of Inverell Art Society and decorated by our committee members. The Mather family provided the kurrajong branches. 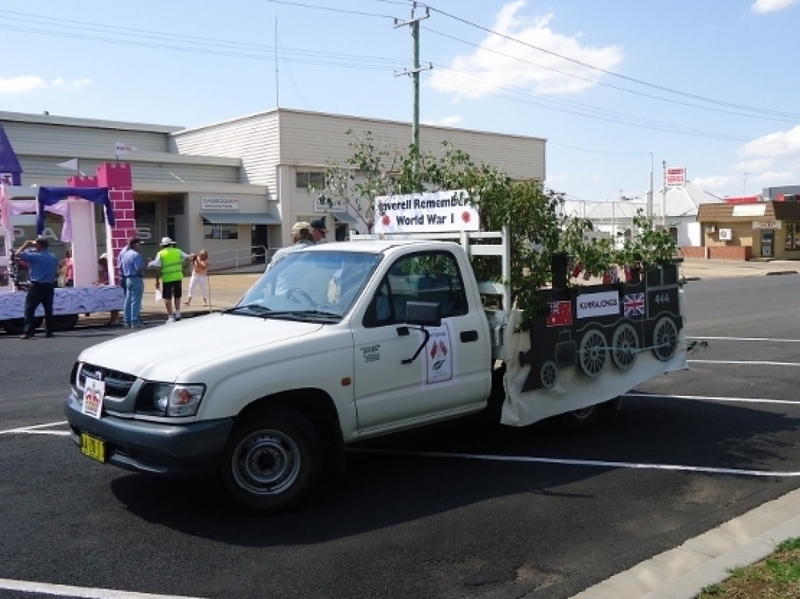 As the Inverell parade was held on the day of the Centenary of the departure from Albany of the ships carrying our first Anzacs, it was appropriate for us to remind local people of our community contribution to the First World War. Many young Inverell men were with those first Anzacs; several did not return home. 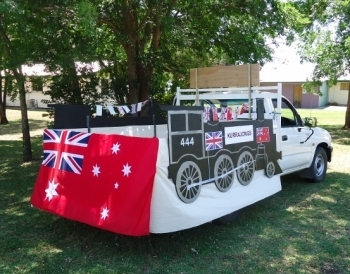 Our committee plan to use the train replica for further promotion of the Kurrajong Re-enactment March on 10 January 2016.